In this online CAST 614 training you acquire the knowledge and skills to eliminate an attacker (hacker) with his own skills. You learn to set up a solid defense and you know the advanced hacks and methods that are used today. You really learn to strengthen your security, even within company architectures. Securing against advanced malware attacks is also an important part of this course. 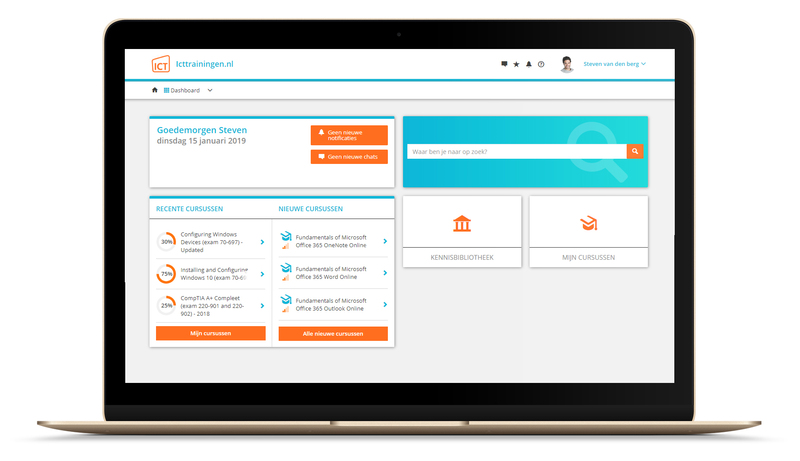 Icttrainingen.nl is the only authorized partner of EC-Council for online training in the Netherlands. In this CAST 614 training you acquire the knowledge and skills to eliminate an attacker (hacker) with his own skills. You are also fully prepared for the EC-Council CAST 614 exam. You have obtained the certifications CEH, ECSA or comparable knowledge. De volledige inhoud van deze cursus kan je vinden op de website van EC-Council of stuur ons een berichtje. We helpen je graag verder!